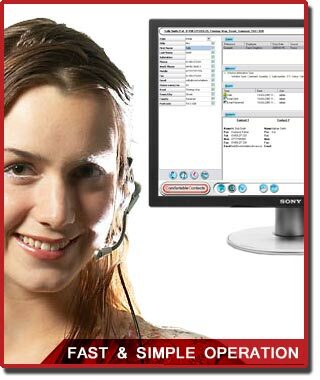 ComfortableContacts CRM software. Powerful system to manage and track events between you and your customers, leads, contacts and prospects. ComfortableContacts is so easy to use and simple to navigate. That's it! A new prospect will be permanently held on the system. In future you will be able to come back to this prospect and add further events to the lead, and to view any events stored previously. Over time this builds a complete history which displays every action taken between your company and the customer. You will always be armed with the right information before you make that all important call. ComfortableContacts sports a powerful built-in task manager. 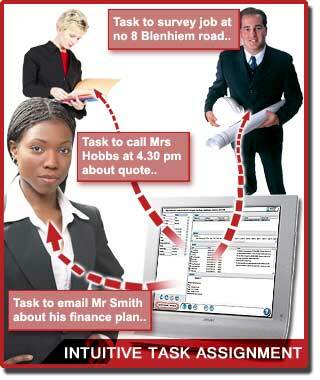 The task manager allows you to create tasks for any user of the system. These Tasks can be created for a user to make a call, send a media pack, email a client, post a quote or an order (and practically any other task that you may wish to add to the system!). The task dialogue can also be set to trigger as soon as an applicable event has been saved to the system. E.g. If a sales person enters a sale on to the system, as soon as it is saved the task dialogue will appear and a task can be given to a user that takes care of physically sending out the goods. See what is happenning within the system with "the audit trail"
ComfortableContacts allows system administrators to check the software is being used correctly. 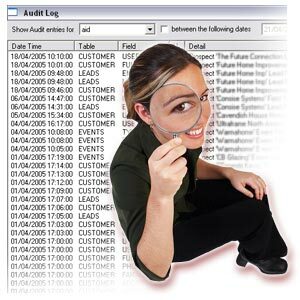 The 'Audit' feature allows an administrator to view most changes that have been made to the information stored in the database by users of the system. Administrators can then see if any user is incorrectly adjusting the data, whether it has been changed in error or worse, deliberately. Each time any user changes either prospect, lead, interest or event detail, their user name and changes made are recorded by the audit feature. An administrator will be able to see what detail originally existed and importantly, what the detail has been changed to.